Professional web designers on the Connectweb team we are now able to offer customized themes for Custom Vantage Web™ users. Standardized themes are offered to all Custom Vanatge Web™ user's which means your site's "look" may be represented elsewhere. To give your customers a unique experience, why not make your site "look" like you. Custom themes are priced individually. 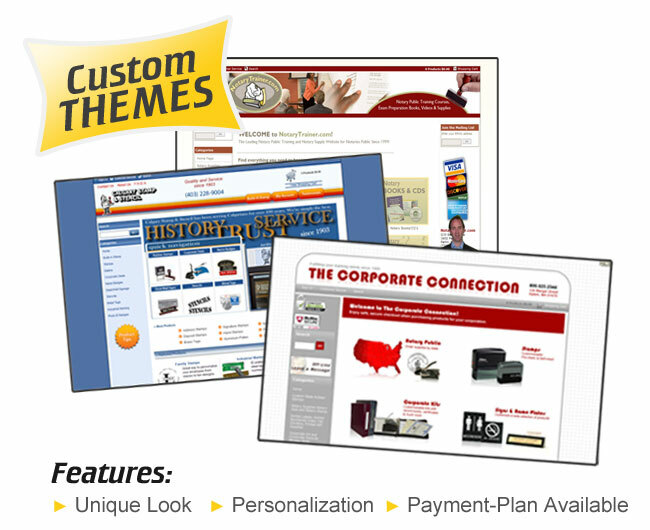 We will discuss with you a look that fits your shop and begin designing your custom theme. Once a look is agreed upon we will build the theme and place it on your site.